If you live in, or have recently bought, a listed building and wish to renovate it, you could be entitled to some financial assistance.The Historic Buildings Repair Grant was created to provide financial assistance for those who wish to renovate a building that is recognised as being part of the regions cultural or architectural history. The reason the grant was first made available is because the costs involved in renovating historic buildings is substantially more than it is for a normal house. This is a result of having to use certain materials and employ workers that have specific skills and adopt certain techniques. Firstly, lets take a look at the eligibility criteria for the repairs grant. Buildings that are deemed to be eligible must be listed on the Register of Buildings of Historic, Architectural or Archaeological interest. If your property is listed then you can begin the application process. The first thing to do would be to prepare a list of the work you would like to carry out. The most important thing to remember here is that the more details you give the better equipped the board are when allocating the funds. If you think it is necessary to provide estimates or quotations from professionals, then do so, and in some cases it may also be useful to provide drawings or detailed specs. Now, alterations to the property are not eligible for this funding. However, if you are making alterations alongside repairs that fall under the repairs grant remit then you are required to provide a drawing showing how the original building change or look like. Before being awarded the funding, it is necessary that you apply for – and receive – consent or permission from the authorities if it is required. So what kind of work is eligible? Well, the scheme was introduced to help with the costs of restoring or repairing the original features that contribute to the character of the building. This might include original roofs, chimneys or dormer windows. Work that is not eligible for financial aid include minor maintenance or decoration, alterations, plumbing or electrics, or any repairs that form a modest part of a larger conversion project. There are a number of things taken into account when the decision is being made for awarding funding to applicants.Firstly, the building will be assessed as to its prominence and its overall importance to the region along with the architectural and historical value it may have.Other things may include the urgency of the work, the availability of funds and the significance of the work. The funds available through the Historic Buildings Repairs Grant are limited so the maximum amount that can be received by any applicant is 40 per cent of the overall cost of the work that is to be carried out – up to a total of £10,000.It is important that you apply for the grant before you undertake any work on the building, if you start before this then your application could be refused. My roof is leaking badly and needs replacing. Is there any financial help I can apply for to help with the cost? I am a senior citizen on low income and own my home. Hi Can you tell me is there a grant if you have lead pipe in the driveway. Please could you give me advice on renovation and heating grants Cornwall. I have a grade 2 listed property in a state of disrepair Also I am disabled but do not need a grant to adapt my property. I am entitled to a government heating grant as I don't have any heating but my windows are very draughty.I own my property. The first place to try should be your district council. They will know of any grants available locally.Secondly check the Turn2Us website to see if any grants are available and to check that you are receiving all the benefits you're eligible for. Your energy supplier might also be able to advise whether there is anything available for heating/insulation at your type of property and in your region. It's also worth checking out Historic England for information as your building is grade 2 listed. 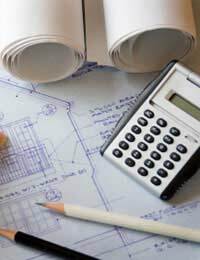 Please could you give me advice on renovation and heating grants Cornwall. I have a grade 2 listed property in a state of disrepair Also I am disabled but do not need a grant to adapt my property. I am entitled to a government heating grant as I don't have any heating but my windows are very draughty. I own my property. Looking for help for my sister , who is very unwell , the bricks have cracked in her back bedroom , where she cannot afford to put a window in unless a builder can put some lintels in to support the frame , this may not seem much to important to anyone else but please can someone help her please , not only the worry of the house mane calapsing , her health is not good her home is very cold with a constant draft and bitterly cold. It might be worth her asking at her local council, to see if there are any regional grants available. The Turn 2 us website might also highlight anything she could be entitled to. Could you tell me if there are any grant for reroofing your home.I own my property and am 82yr of age.I live in the lower flat of a detached house and my previous neighbours recently took so long to appreciate they had dry that it spread to my property and cost me thousand of pounds to repair and took most of my savings.. Now the new upstairs neighbours have signs of dampness in the sitting room.On inspection in their attic,the roofer says there is considerable dampness and the roof needs completely replace.Can you let me know if there are any grants availablefor replacing the roof in North East fife.I live in conservation area.